Bráulio Bosi, born in Brazil in 1987, began his musical life playing electric guitar when he was 14 years old and began his studies of classical guitar when he was admitted to the Federal University of Espírito Santo as a Musical Education Major at the age of 18. After graduation, Bosi moved to Oklahoma City where he obtained his Master’s Degree in Guitar Performance from Oklahoma City University while taking guitar lessons with Michael Fresonke. 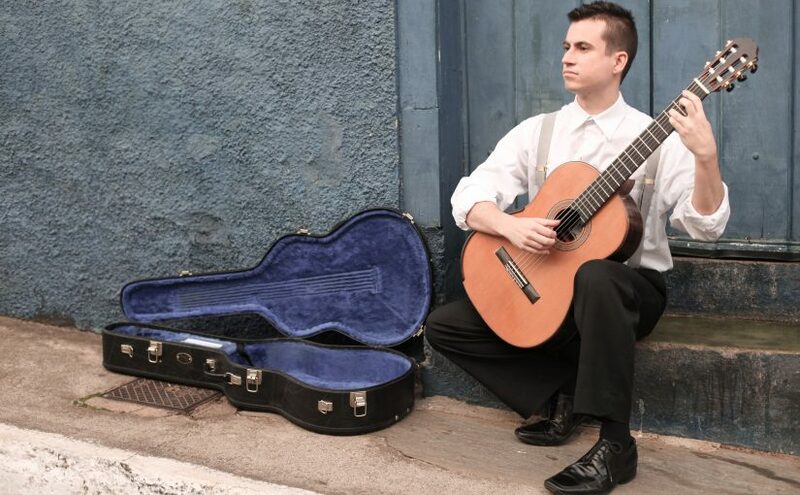 Bráulio studied with Douglas Niedt at the University of Missouri-Kansas City Conservatory of Music and Dance, where he was awarded a Doctor of Musical Arts degree in guitar performance in 2016. Niedt recently retired and Bráulio has taken over as chair of the guitar program at UMKC.